Cindy Miller is an assistant professor of Career and Technical Education at Eastern New Mexico University and adjunct professor for Family and Consumer Sciences Education at Texas Tech University. Prior to teaching at the postsecondary level, she was a former CTE administrator for two school districts for 13 years and, before then, was a secondary business education teacher for 11 years in Texas. 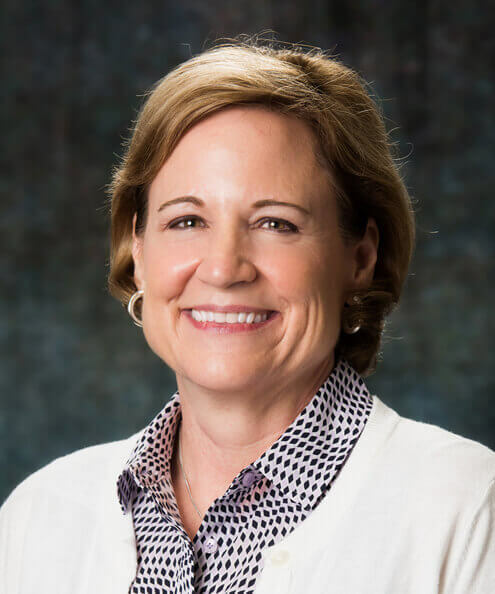 Miller received her bachelor's and master's degrees in Secondary Business Education and her doctorate in Family and Consumer Sciences Education from Texas Tech University. She is also certified as a Global Career Development Facilitator Instructor by the National Career Development Association. Miller's teaching interests include training prospective CTE and FCS educators for success in secondary and postsecondary classrooms as well as training those who choose to advance their CTE and FCS career into an educational administrative position. She teaches undergraduates and graduates in a variety of CTE and FCS courses. Her primary research interests are career development, integration of academic and CTE and FCS curriculum, implementing the critical science approach in FCS curriculum and developing high-quality business and postsecondary partnerships for CTE and FCS programs. She is actively involved in the American Association of Family and Consumer Sciences (served as President for 2018-2019 and Board of Director for 2017-2020). She is also a member of the National Association of Teacher Educators for Family and Consumer Sciences, the New Mexico Association for Family and Consumer Sciences, the Association for Career and Technical Education, and the New Mexico Association for Career and Technical Education. She is a member and editor of the Texas Business and Technology Educators Association Journal.